Silvana Ordonez is originally from Colombia. She holds a B.A. in Business Administration from the Pontifical Xavierian University (Pontificia Universidad Javeriana) in Cali. She has lived in Chicago for twelve years. During her time in Chicago, Silvana has worked as an Admissions Counselor at a bilingual college, where her position allowed her to help students navigate their academic experience as well as the financial aid process. 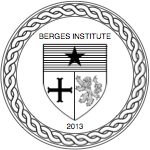 Now, as an instructor at Berges Institute, teaching her native language is an immeasurably rewarding experience as she shares her culture with her students. In spite of the weather, Silvana loves Chicago for various reasons, including its diversity, cuisine, and liveliness. As a mother of two, she loves to spend time with her husband and her daughters, and going on walks by the lake with her dog, Ginger. When at home, she loves to wind down with a good book from Gabriel Garcia Marquez or anything that resembles Magical Realism.